I received Rakuzan’s Hojicha as a gift from a friend who travelled to Japan. Hojicha came to me in foil packaging, it left like a very air-filled brick because it was so dense but so light at the same time. The packaging itself is not resealable, which was fine because I had spare empty tea tins to use for it. The tea itself is a mix of leaves and sticks, with a beautiful roasted aroma that has subtle rice notes to it. 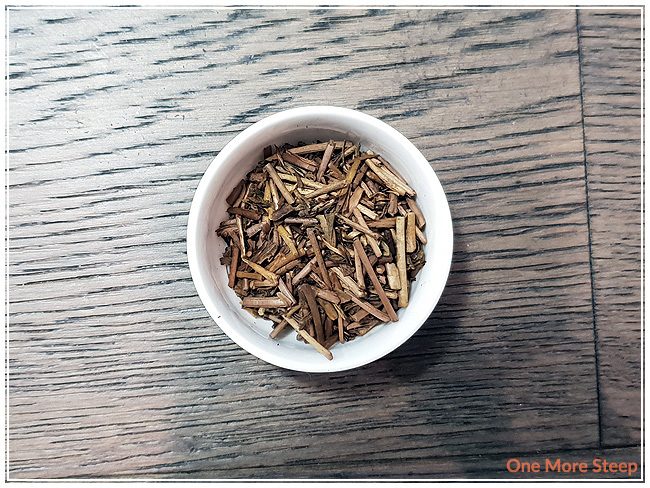 Hojicha is a very light tea – this light but dense brick was a total of 100g but took up so much room! It has a smell that makes me think a bit of campfire as well. 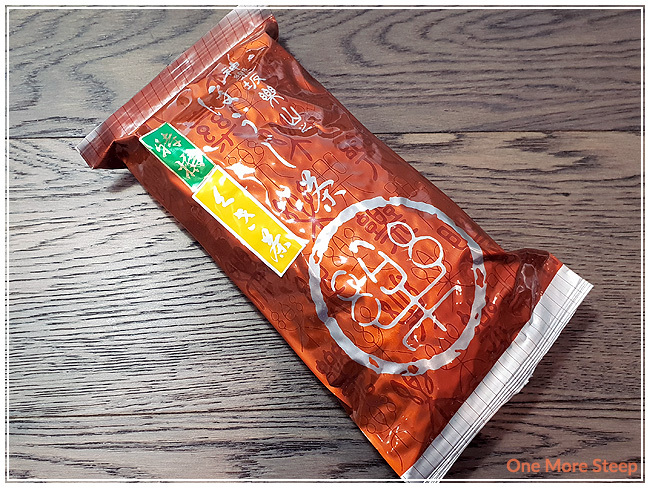 The recommendations on the packaging suggested to steep Hojicha in 100°C (212°F) for 30 seconds. I followed the steeping instructions. 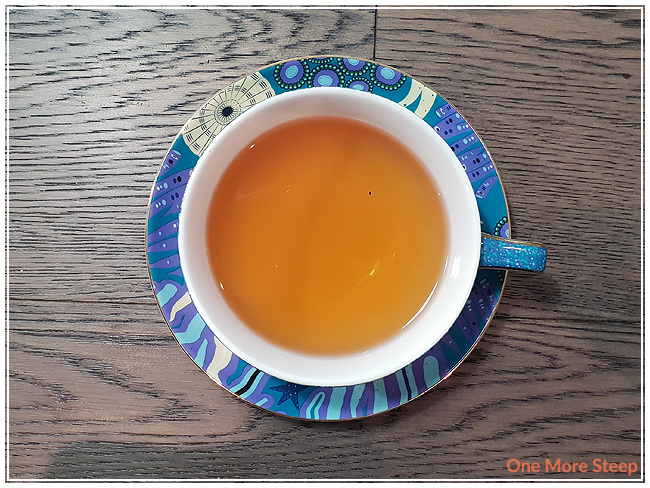 Please note that Hojicha is a green tea, and green teas are typically steeped in lower temperature waters in case you don’t like the flavour that you end up with or think it’s too bitter. Hojicha steeps to a deep orange after a 30 second steep. There’s a beautiful roasted aroma from tea that reminds me a lot of the toasted rice in a genmaicha. I found that it had a very full-bodied flavour, which a lot of strength in that flavour. The tea is quite smooth, with no bitterness, and has a slight aftertaste of the roasted rice flavour. There’s a slight smokiness to the flavour, but it’s nowhere as strong as the smoke flavour in a lapsang souchong tea. 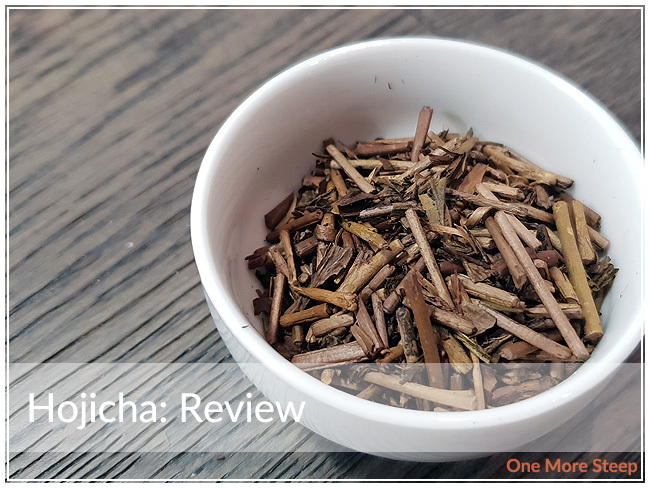 I resteeped Hojicha four times, adding an additional 30 seconds for each subsequent steep. I found that it resteeped very well with similar flavour every time. I liked Rakuzan’s Hojicha. 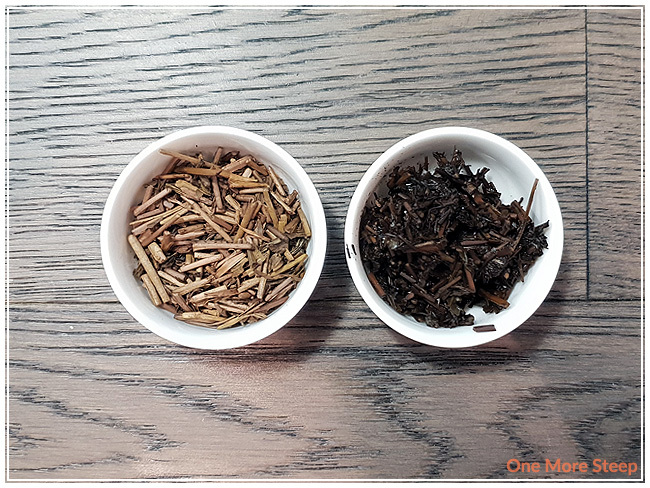 From the dry leaf, to the steeped tea, the flavour and aroma remains very consistent throughout. The steeping instructions were spot-on because of the lack of bitterness from the green tea, I do admit that I was a bit considered considering it was boiling water that I was using. The flavour is delicious though, and I think it’d be a great tea to have at any time of day. I do think that having a roasted tea is a bit more of an acquired taste, and hopefully more of my guests will enjoy it as well since I have so much of it!